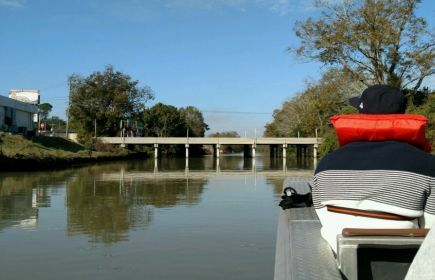 Before you begin your adventure in Louisiana's Cajun Bayou you may want to practice a few key phrases to have on hand. Catahoula (kat-uh-hoo-luh) - Choctaw Indian word meaning "beloved lake" also a breed of dog indigenous to South Louisiana. This is the state dog. The word Cajun is a derivative of the word Acadian, and Cajuns are usually described as descendants of the French-speaking Acadians who settled in Louisiana after being deported from Nova Scotia. Creoles were originally descendants of Spanish and French settlers in the New World, but the term came to describe things of the new colony as well. Creole comes from the Spanish criollo, a child born in the colony. The food types differ as well, Cajun food developed as more of a country fare from the Acadians settling along the swamps and bayous along the Louisiana coast known as Acadiana than the food that the Creoles developed in the New Orleans area, with more African and Italian influences such as okra-infused gumbo and a tomato-based jambalaya.